Last week, we introduced our new Spotlight on ArtScroll Treasures feature, where we shine the spotlight on some of the excellent classics that we’ve published in our almost forty year history. 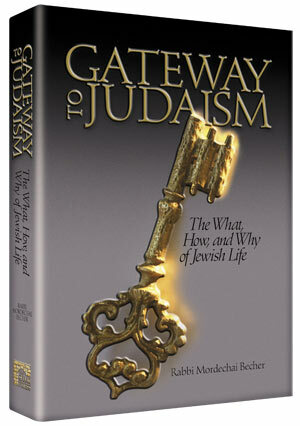 One of those treasures is an ArtScroll best-seller, Gateway to Judaism. Gateway to Judaism is unique. It offers a distinctive blend of Jewish philosophy, Jewish law, and practical application illustrated through the experiences of “the Levy’s”, a fictional family that guides us through traditional Jewish customs, holidays, and lifecycle events. This week, we’re offering the chapter about Shabbos for our free download. Save it, print it, read it, and make sure to share it with anyone who would benefit from it. If you enjoyed this download, your friends will too. Please share the link via email, or using any of the social sharing options below.